Game 5; by hook or by crook, we got here. I didn’t really do a pre-NLDS prediction piece for this series. A combination of work and life events conspired against me. Nats rebound in Game 2 and handle the veteran Hill. 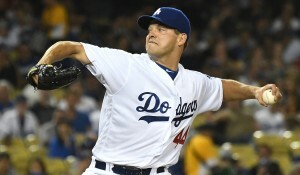 Dodgers then panic down 2-1 and throw Kershaw on short rest, who dominates us again. … leading to the inevitable Game 5 back home. Now … the above description isn’t exactly how these games have gone, but the end result has been the same. The Nats hit Kershaw in Game 1 … but the Dodgers hit Scherzer harder; that was no 2-1 squeaker. Game 2 was salvaged when perhaps the weakest hitter on the roster clubbed a 3-run homer into a 25mph wind, energizing the stadium and the team to a degree i’ve never felt before. 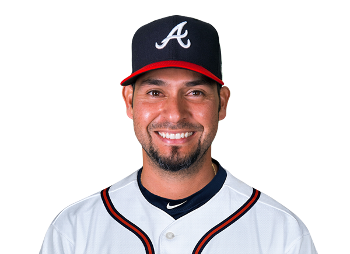 Gonzalez certainly did not “shut down” the Dodgers in Game 3, but the Nats bats came alive at the end to turn it into a 4hour 12min laugher. In game 4 Kershaw did indeed go on short rest, and up until the 7th looked pretty dominant, but in a recurring theme for him in the post-season, he went one inning too long, loaded the bases in the 7th and was charged with a total of 5 runs on the night despite 11 strikeouts. Nonetheless, the Nats bullpen (which it should be noted did not give up a single run in the first three games) finally faltered, with Treinen coughing up the game winner in the bottom of the 8th to long-time Nats nemesis Chase Utley. So here we are. Game 5 tomorrow 10/13/16. Max Scherzer on full rest versus Rich Hill on three days rest thanks to the Saturday cancellation. 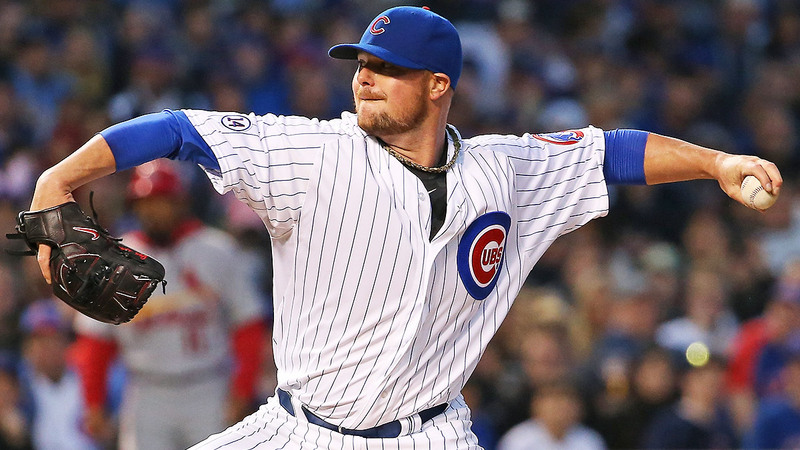 Hill, 37-yr old veteran journeyman with a career resurgence, has thrown precisely one game on 3 days rest in his career: he gave up 5 runs on 3 hits and 4 walks in just 3IP that day. No offense to Hill, but lets hope for that line again and for the Nats to get into the Dodgers incredibly taxed bullpen. 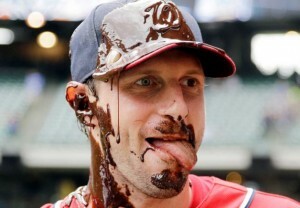 Meanwhile, Scherzer has to figure out a way to keep the ball in the park. And he probably needs to go 6 or 7 innings to help a bullpen that has now thrown 17 2/3rds innings in four games. How about the Offense for this team so far? Hitting .259 as a team despite going against Kershaw twice and a bunch of one-out relievers most of the rest of the time. The veterans have really come to play: Murphy, Zimmerman and Werth all stepping up and crushing the ball. Youngster Turner at the top hitting .353 … but 10 of his 11 outs have been punchouts. Harper is just 3-14 with 4 walks … but to be fair, 13 of those plate appearances have come against lefties and 3 more have come against LA closer Jansen … not exactly the easiest series for Harper. 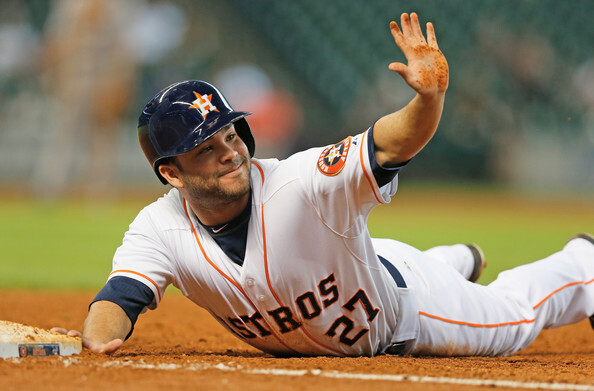 Who has not acquitted themselves at the plate? Espinosa; 1-11 with 8 punch outs and being outright replaced in game 3. I read elsewhere, this may change my “next year opinion” on Espinosa; he has looked beyond helpless at the plate despite being a switch hitter. Remind me of this sentence this coming off-season if I start making arguments for keeping him and keeping Turner in center. Rendon has had a “loud” 3-16 series; loud in that he has 4 RBI and a monster homer. Severino is 1-9 but has been putting the ball in play and has not looked overmatched. Can’t wait for game 5. Wow, what a treat! I’ve been kind of slacking in the content department and suddenly our favorite beat writer Bill Ladson pops out an unexpected mid-September mailbag. So here’s something to argue about this weekend. As always, here’s how I would have answered his questions. A: Trea Turner without a doubt. We knew he was going to be good, but I don’t think anyone knew he was going to be *this* good. Keith Law in his chat yesterday pointed out a fun little fact about Trea Turner: he’s got a (now) 3.0 bWAR this year, which would rank him (unadjusted for position) as the 6th best ever for either the Rays or the Padres, the two teams that passed along Turner (and Joe Ross) in that trade two years ago. What a steal. And despite his only playing 57 games this year you have to think he’s in the mix for NL Rookie of the Year. Corey Seager probably has it wrapped up, but a 2nd or 3rd place for Turner seems warranted. Ladson said Stephen Drew, which I guess you could argue for … except that he’s a bench player who has missed a ton of time and isn’t a lock to make the post-season roster given his illness. Q: How far do you think the Nationals could go in the postseason? A: Could? They could go all the way! In reality, I think the Stephen Strasburg injury really, really hurts them in their likely NLDS match up with Los Angeles. If the Nats rolled out Scherzer-Strasburg-Roark-Gonzalez versus the Dodgers’ Kershaw-Hill-Maeda-random 4th starter i’d feel pretty good about our chances in that series. 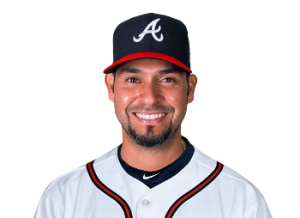 Right now we’re basically auditioning pitchers for that 4th spot and Gonzalez has been shaky, and Los Angeles’ arms are daunting for a team that routinely gets shut down by starters from teams like Philadelphia and Atlanta. Right now, I think we lose a close NLDS series to Los Angeles. Even if Strasburg was healthy, I think we’d really be hard-pressed to beat Chicago in a 7 game series either. We took 2 of 3 here, lost 4 out of 4 there this year (though as we’ve discussed here, that sweep wasn’t nearly as dominant as the press made it seem), but we still lost to them, and they’ve stayed at full strength basically the whole season. I don’t see how anyone beats the Cubs this year. Ladson hedges his answer, saying he wants to see how the bullpen and offense go the rest of the way. Why is he worried about the bullpen? Isn’t it one of the best in the game? The Nats bullpen is #1 in baseball in ERA, #2 in Fip. What more do you want? 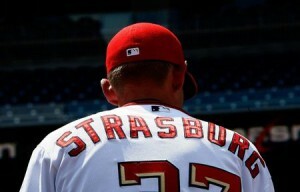 Q: Do you think Stephen Strasburg will be ready to pitch in the postseason? A: Nope. Strained Flexor Mass is usually a 30 day injury; he got hurt on 9/7/16. So at best t hat’s 10/7/16 … or basically at the end of the divisional series. But … where’s he going to rehab? There’s no more minor league games; i guess he could throw simulated or instructional league games. But more importantly, this is a notably conservative team medically, especially with Strasburg over the years and especially since they just committed $175M to him. No way do they rush him back from a serious injury just on the opportunity to make one post-season start. Ladson agrees. Q: Why do you call Jayson Werth “The King” on Twitter? A: (me shaking my head): who knows. Maybe because he’s the king of getting caught doing triple digits on the beltway? I’ve lived here all my life and can’t tell you how many times i’ve hit 100 on the interstates around here without getting caught. Ladson says he calls Werth the king because he turned “clubhouse from unprofessional to first class.” Well, except for all of last year under Matt Williams … I guess even the King couldn’t salvage that dumpster fire. Q: What do you think of the job Danny Espinosa has done this year? A: Good power, good defense, bad hit tool. About what we expected; his plus defense and power this year have outweighed his strikeouts and his low batting average. He’s got a 1.8 bWAR and a 1.9 fWAR on the year, so its not like he’s totally useless out there. Its one of the reasons i’ve supported him and havn’t been completely ready to get rid of him; he’s ranked 15th among qualified Shortstops in fWAR this year. So that’s right in the middle; league average. I mean, if he had negative WAR, didn’t have power, or wasn’t a plus defender, I could see the huge rush to replace him. But moving him this coming off-season (as many want to of my readership) opens up another hole in Center that’s probably harder to fill right now than Short. Its why I suspect the team may just stand pat, keep Turner in center another year, and roll out basically the same lineup in 2017. Ladson gives him a “6.5 out of 7” and says he deserves the NL Gold Glove. I dunno about that; there’s 5 or 6 NL shortstops that probably rate better defensively than him. Q: Was Murphy what you expected this season? A: No way; Murphy a ton better than I expected. I was hoping for a solid 6th hitter, not a frigging MVP candidate. He earned his entire $37.5M contract this year. Ladson Agrees. Q: What do you think of Dusty Baker as a manager? I know you often said Davey Johnson is the best manager you ever covered. Where does Baker rank as far as Nationals manager go? A: I think Baker has done a fantastic job of calming this group, bringing some order, and not showing any of the faults that he was accused of in the past. 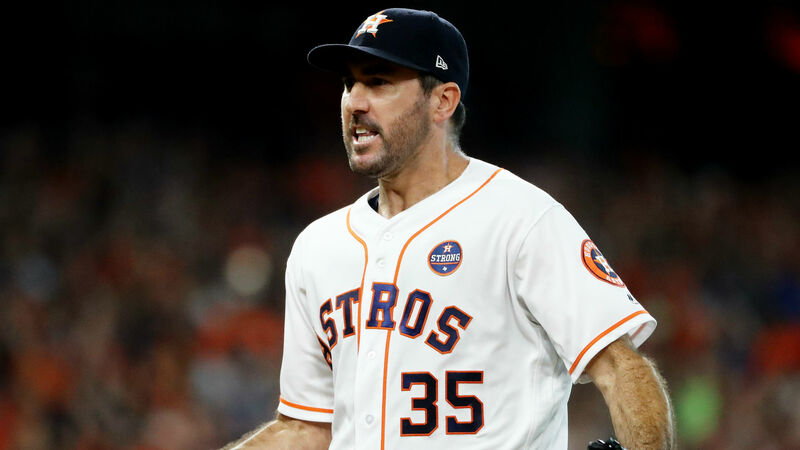 He’s shifted, he’s managed the bullpen decently, he’s stuck to his guns and rested players, he’s communicated well, he hasn’t burned out starters. I think he’s ridden his primary catcher too hard … but then again, Ramos is having a career year and Lobaton is a huge step back offensively. Is he better than Davey? Not yet for me: lets see what happens when Baker has to deal with some injury issues or a better divisional rival. Ladson has them 1-2 with Davey still on top.